I am pleased to be able to review another beautiful tie from Bows-n-ties.com. These are quality ties and are very easy to order. They carry ties for the average man along with extra long ties and kids ties. The variety of colors would suit any occasion and the different designers give you the choice you would want. I received a tie in the yellow color range. Each color bring out certain feelings, thoughts and emotions in people. Yellow is a fresh and friendly color and evokes happiness in people. Shades of golden-yellow are sometimes perceived as good luck. Lighter colors of yellow look best on men with a darker complexion. While light yellow ties along with a non-white dress shirt look best on fair-skinned men. Bows-n-ties.com offers information on ties along with help on tying them. Below you will see their tutorial on tying a necktie. Be sure and check them out for their helpful information. I have eleven grandchildren and I am always looking for gifts for the children. I love to give personal gifts but it is not easy. All the grandchildren have different tastes and interests. So when I find a product that offers my love of reading along with personalization for the child, I have to endorse it. One thing is for sure. 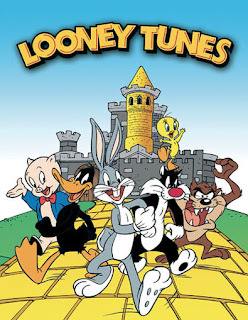 All of my grandchildren love cartoons. 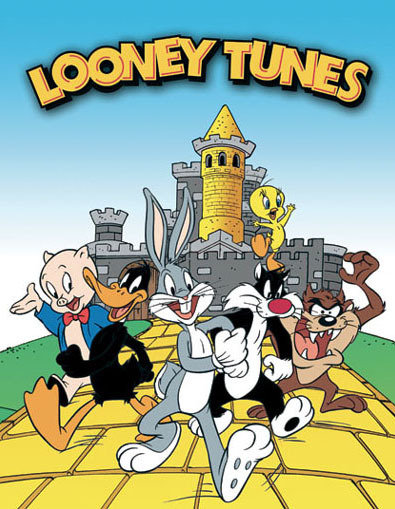 Looney Tunes is a cartoon loved by all ages. This book is perfect. The cartoon characters come alive as your child’s name is entered into the book with personal information to help the child recognize his or her own name and friend’s names. I ordered this book for my grandson, Jackson. He is one of five children. I haven’t been able to spend much time with him so this book was a special gift I could personalize for him. I was even able to add a dedication at the beginning of the book so that he knew that his Nonie was thinking of him. This personalized book was well constructed and I expect it to last a long time for my three year old grandson. It is encouraging self-esteem and a love for reading that will grow with him. Check out these books and other personalized children’s gifts at KD Novelties. They have personalized music and DVDs. The selection is large and you are sure to find that perfect gift like I did.